During Meet the Press, Chuck Todd presented the book to nationally known writer and commentator for the Washington Post Eugene Robinson. “This will be great for my granddaughter, thank you this is great,” replied Robinson. 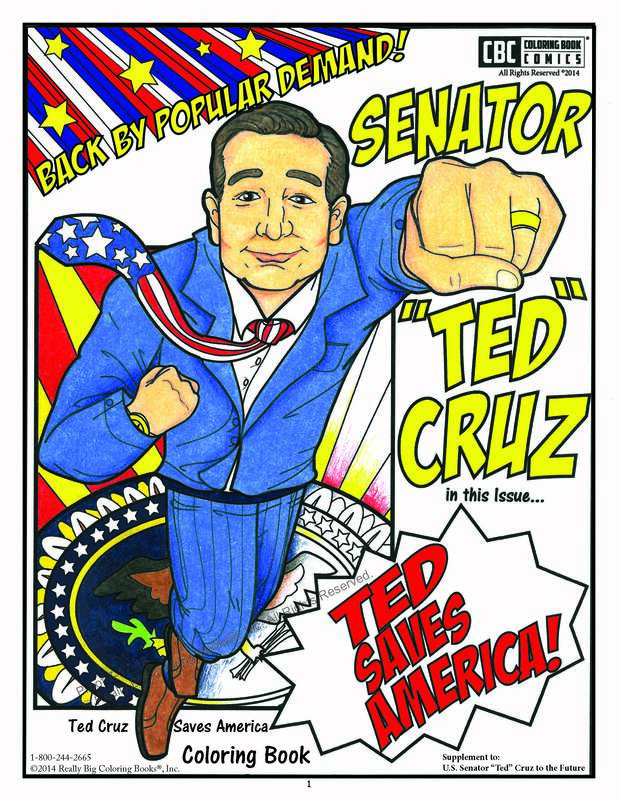 The book also includes the new Ted Cruz Saves America eight page supplement compliments of the publisher. For about 20 weeks it was the number one selling children's coloring book listed on Amazon. Really Big Coloring Books ®, Inc. of Saint Louis, Mo. 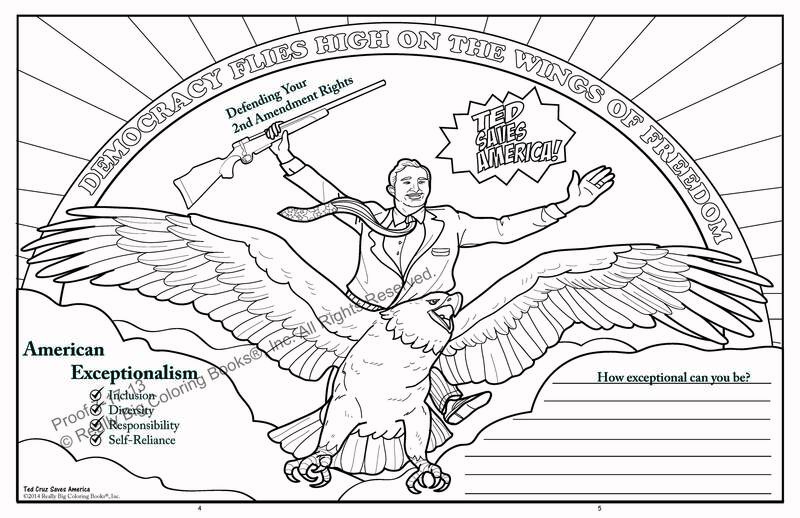 releases educational coloring books for youth, parents and teachers this one which details Ted Cruz’s life, principles, values and mission. 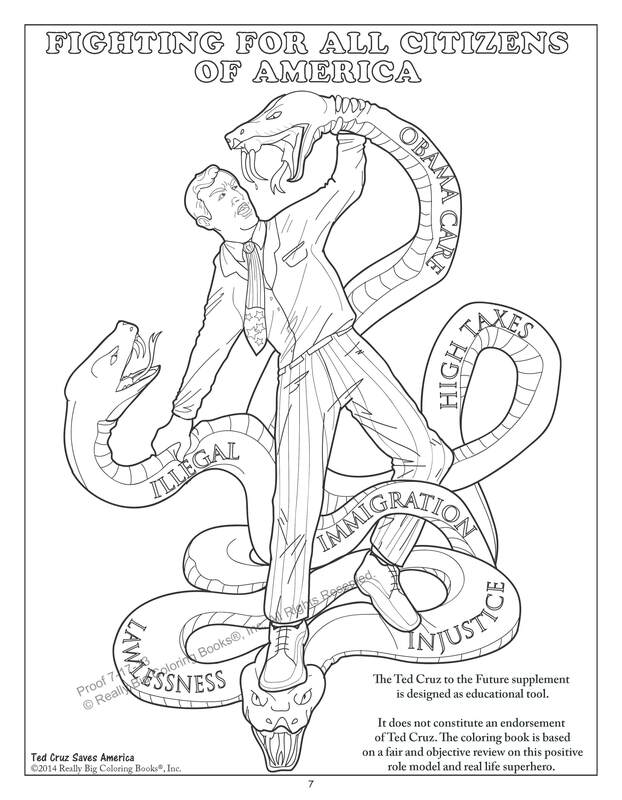 In a continuation of the company’s popular series “Tell the Truth – Tell it Often – Tell the Children ®” designed for all ages, to promote healthy discussion and understanding, Really Big Coloring Books®, Inc. (RBCB) turns complex challenges or issues into a relevant format with an emphasis for youth. Texas Sen. Rafael Edward “Ted” Cruz has become a rejuvenation for the Tea Party movement in the U.S. his 21-hour speech on the Senate floor in September 2013 propelled Cruz into the national spotlight. Cruz’s beliefs and actions stir emotion in those following the political realm. He is considered a modern superhero to many and looked upon in adoration and abomination by some. 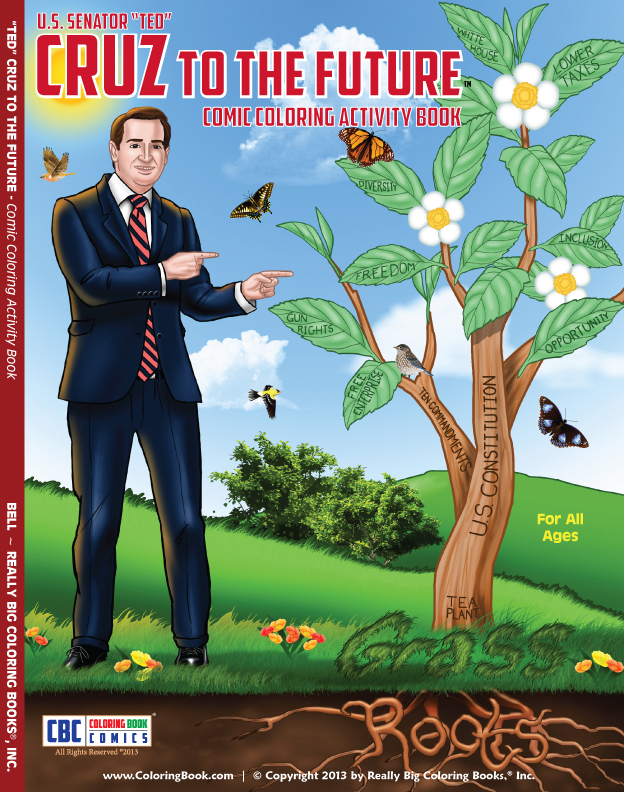 “The Ted Cruz to the Future coloring book is suitable for any student desk in America, as millions of people across the country admire, respect and portray Mr. Cruz as a positive role model for children,” stated publisher Wayne Bell. "Parents have told our company they enjoy modern day heroes and positive role models in children’s literature and Mr. Cruz as a sitting U.S. Senator certainly meets the criteria,” continued Bell.